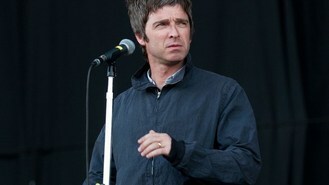 The former Oasis star once turned down Simon Cowell's offer of a job as a judge on the ITV1 show. "I want James Arthur to win," he said, adding: "I wouldn't mind the Scouser (Christopher Maloney) to win as it would be great to watch him having a nervous breakdown eventually in about five years. "Well they're not the first people in the country to have a child, are they. I've got three," he said. And questioned if he had any advice for them, he added: "Tell William he might want to think about rejoining the army - he might have a quieter life.'" Noel, who has taken over as the main curator of the shows from The Who frontman Roger Daltrey, said organising them "brought out a side of me I don't really like, which is asking people for favours". "I've never asked anybody for a favour in my life," he added. The gigs feature the likes of Primal Scream, Kasabian, Ryan Adams and Rizzle Kicks on the bill.